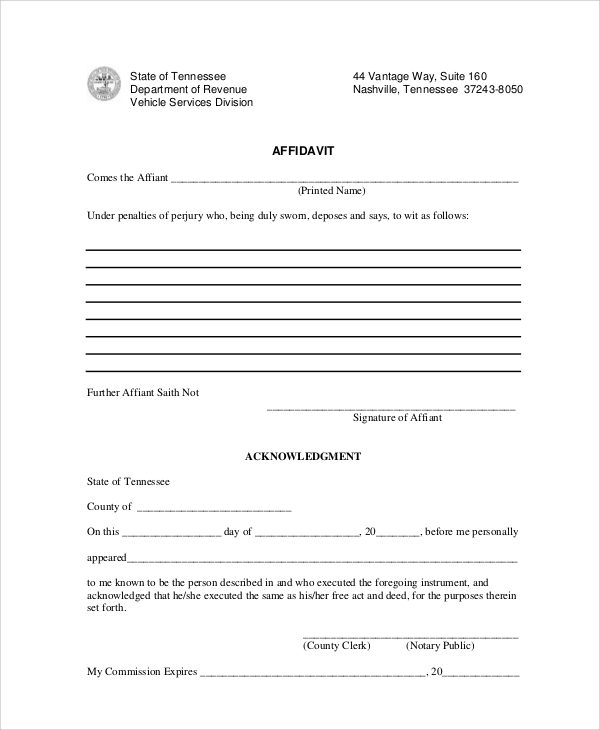 A sample blank affidavit form is what you would need to make an affidavit for any purpose. A blank form has many advantages. 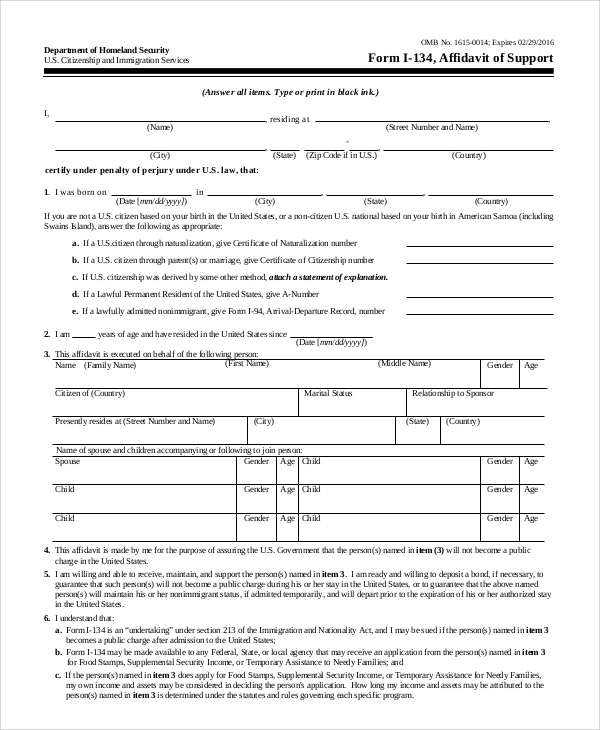 You can just fill up information on places needed and in this way, the form gets completed to take the shape of a draft affidavit. That is why when you are working with samples, you are benefited in great ways. 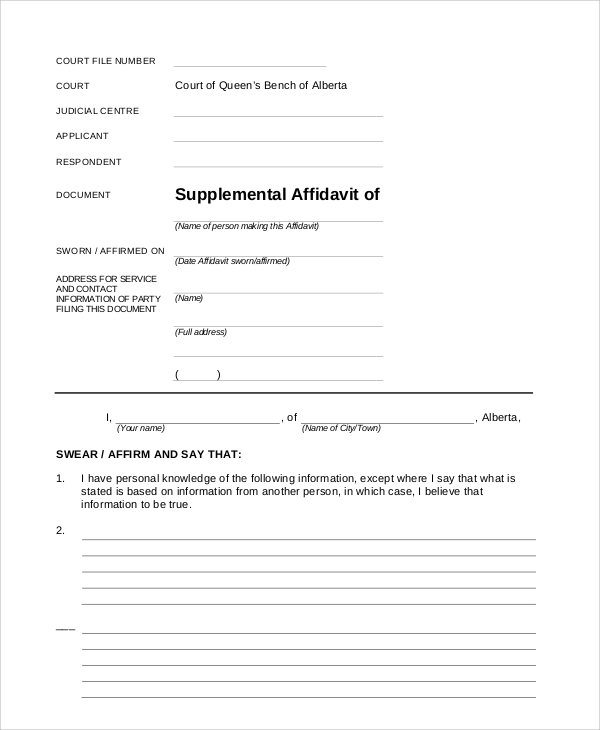 You can also see sample sworn affidavit forms. A bank sworn affidavit form is what you use when you want the person doing the affidavit to swear the things written on the paper. The swearing is done in front of the registrar, and this makes sure that the person says verbally loud out what he signs too, and promises to abide by it. This format is available in this sample. 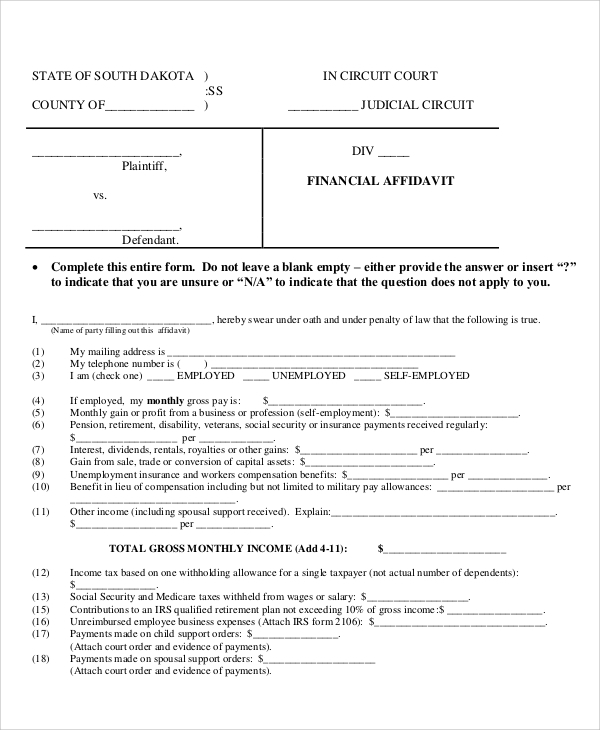 If you are making a financial affidavit, it will certainly have a format. This format has to be followed so that the affidavit is made in the proper way and suffices the legal format that will be globally acceptable. 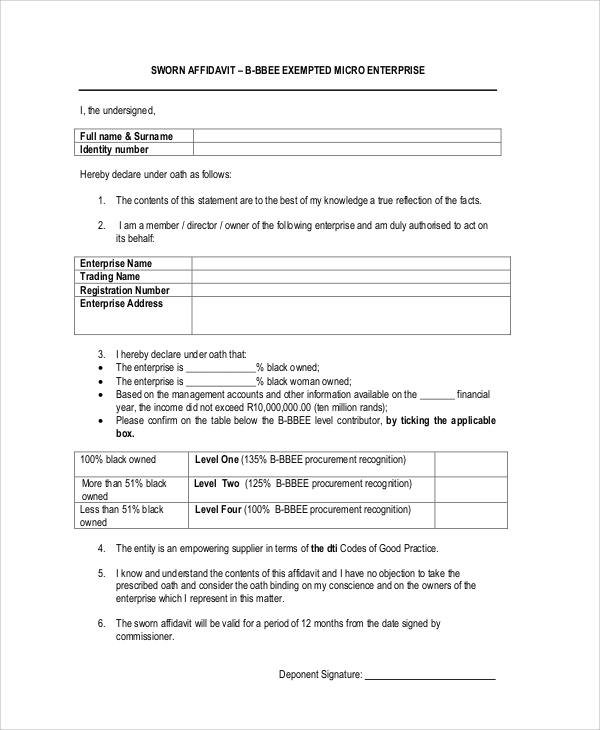 Here in this sample, you get that format for any kind of financial affidavit making for business or individuals.You may also see free statement forms. 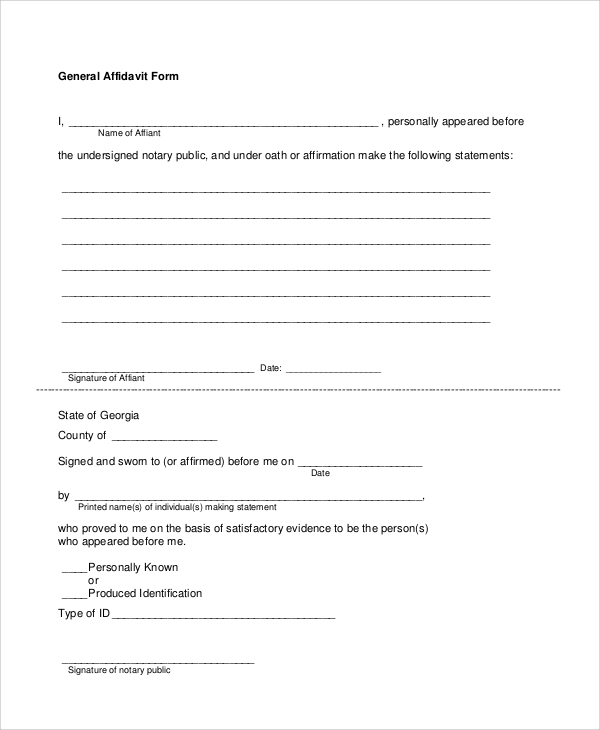 The blank general affidavit form will be available in this sample, and this one is made in a general format. You may use it in any sort of affidavit making; you will love to use the flexible format. 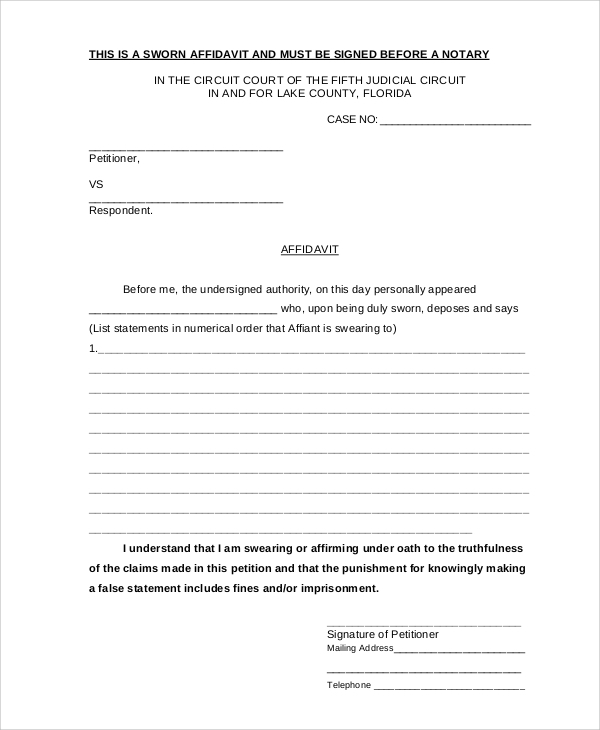 What is a Sample Blank Affidavit Form? Affidavit making can be a lengthy process if you are without any clue. It’s a legal matter and you would need legal support to complete it. Thankfully, great examples and samples of affidavits for general and specific formats are available online. These will give you a nice format and great idea, and you may even download them free and work on the blanks to complete one on your own.You can also see sample self assessment forms.